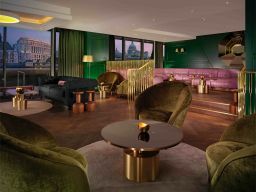 To successfully launch London’s latest cocktail bar situated within Mondrian London hotel and to ensure a steady flow of editorial coverage. To position Dandelyan as a neighbourhood as well as destination bar open to all, with a cocktail list set to shape drinks trends and the industry, as well as raise the profile of Ryan ‘Mr Lyan’ Chetiyawardana and his bar team. We announced Dandelyan and negotiated exclusive pieces of editorial to be published around the time of opening. We organised a launch party filling the venue with key media and industry. This not only created a ‘buzz' on social media but an initial strong ‘hit' of press coverage. We then hosted intimate press tastings with Ryan Chetiyawardana, which resulted in larger features on the bar and the creative cocktail list. Ryan and the bar team change the menu regularly which ensures Dandelyan remains relevant and gives us the opportunity to reconnect with journalists. Dandelyan has been featured in trade, lifestyle, consumer and travel titles consistently since the launch 2 years ago, and was awarded Best New International Bar in the Tales of the Cocktail Spirited Awards in 2015, as well as being included in the World’s 50 Best Bars.